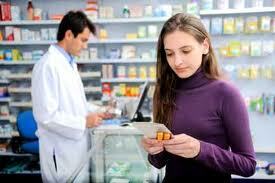 What are some of the prescribed medications for lupus and how do I know what is right for me? Are There Any Alternative Lupus Medicines and/or Therapies? Ok, so you’ve been diagnosed with lupus. What now? 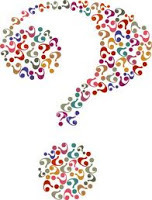 We hope to broadly answer some of your most common questions in this blog, delving deeper into these specific issues in subsequent blogs. While we don’t propose to be doctors or even know what type or severity of lupus you have, we will attempt to give a fairly wide scope of information that can lead you to ask your medical professional what is right for you. Health professionals and researchers continue to develop and look for new ways to manage, treat, and hopefully one day, cure lupus. 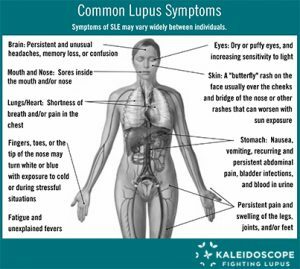 Currently there are a number of medications for managing lupus, depending on the type of lupus you are diagnosed with and all of this information can be confusing at best and even overwhelming. A close relationship with your physician will help determine the best course of action for your specific lupus symptoms. No two lupus patients are the same. There are many types of lupus but for the simplicity of this blog’s purpose, we will just be speaking of the two most common, and how they are being treated and managed today. For more information about the disease of lupus please click on this link to another one of our blogs:What is Lupus? (Sometimes generically referred to as SLE, systemic lupus erythematosus) is an autoimmune disease, one that takes on several forms and can affect any part of the body, but is most commonly attacks the skin, joints, the heart, lungs, blood, kidneys and brain. This is the most common type of lupus. In discoid lupus, chronic inflammatory sores develop on the face, ears, and scalp and on other body areas as well. People with lupus know the disease can affect various parts of their body, both inside and out, in a variety of ways. But one of the clearest signs that a person has developed the disease is the way it affects the skin (cutaneous disease). A psoriasis-like lesion with red scaly patches on the arms, shoulders, neck, and trunk and fewer patches on the face. A red ring-shaped lesion with a slight scale on the edges. To see lupus rash images, click here. For a complete list, see the Lupus Symptoms page on our website. 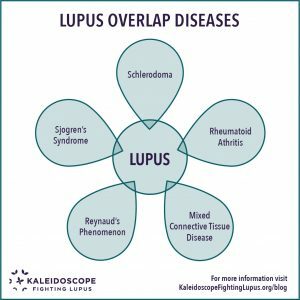 Many lupus patients will often also suffer from overlap diseases requiring separate medical regimens to treat those specific conditions. Some of the most common overlap diseases are: Rheumatoid Arthritis, Mixed Connective Tissue Disorders, Scleroderma, Sjogren’s and Raynaud’s Phenomenon. As stated above the treatment depends entirely on the specific type of lupus, and your signs and symptoms. The determination for which medication or course of treatment should involve careful and thoughtful discussion with your medical professional to find what is right for you. 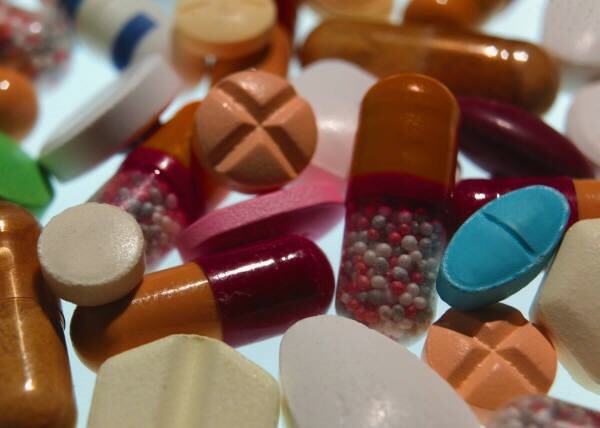 Depending on whether you are in a flare and need active and more aggressive management, or if your signs and symptoms have subsided, you and your doctor will need to be continually regulating your lupus medication and treatment, but these are the most common forms of medication. The first new medication in 50 years for the treatment of lupus, approved in 2011 is Benlysta. It is a human monoclonal antibody used for the treatment of patients with active, autoantibody-positive, SLE who are receiving standard therapy. It is given as an intravenous infusion and targets specific immune cells, rather than other therapies that suppress the entire immune system. Benlysta is not an option for everyone, you will need to discuss with your doctor if it is right for you. With help in finding a physician in your area, check out our handy referral network. How do you know which one is right for you? What if the side effects are worse than the symptoms? And what really is the best approach to taking medications for lupus? All of this information can be daunting. Good communication between you and your medical provider(s) is very important. Our other blog on lupus medications has great tips to assist you in asking the right questions to your physician(s) so that you are able to make the best decisions for your health and well being. Flaxseed. Flaxseed contains a fatty acid called alpha-linolenic acid, which may decrease inflammation in the body. Some studies have found that kidney function may improve in lupus patients who have kidney problems. Abdominal pain and bloating can be side effects of taking flaxseed. Fish Oil. Fish oil supplements that contain the Omega-3 fatty acid, may be beneficial for people with lupus. Preliminary studies have shown some promise but more study is still needed. Nausea, belching and a fish taste in the mouth are some side effects you may experience while taking fish oil supplements. We hope that this blog has been a little bit of streamlined information to help you on your journey of lupus management and even direct you to some options you may have not known about. For even more in depth information on topics relevant to your needs, please see the list of categories on the right or type your topic into the search bar on the upper right of your screen!